Holidays. Same job in a different location? We’re taking our big annual holiday next week and Miss 3 is about to experience her first long haul flight. I am very, very worried. She’s the kind of kid other mums say things about like, “She’s very active isn’t she?” and “Usually you only see boys who won’t sit still”. Mostly her curiosity, energy and social nature makes me love her all the more. In terms of how we spend 24 hours on a plane together, it’s a little less so. Some people have good tips for travelling with toddlers. The most useful thing I’ve heard is to talk lots about the trip in advance and break it up into different sessions, so we’re talking about how we’ll have our lunch and then watch some TV and then it will be time for a sleep. And so on. But I am still worried. The only other long flight we’ve taken was to Fiji just after she started walking, and then we were *that* family, on a plane full of families with small children returning from holiday, that others looked on with pity, a little too smugly for my comfort level. So we’re researching travel regulations for kids car seats and sleeping arrangements at each destination. We will be staying with friends a bit, and hoping they remain friends. We’re also having lots of chats over our dinner table about the rules at other people’s houses, and how they might differ from ours, but we’ll abide by them anyway. I’m not sure how much a three year old can take in about potential rules made by people she hasn’t met yet, but I’m hopeful some of it is sinking in! As soon as you board, put your pack of wet wipes into the seat pocket in front of you to keep stickiness at bay. I will definitely be doing this. As I see it, there are four key elements involved in making the trip a success. I’m calling them my ‘Holiday KPIs’. 1. Surviving the plane flights without plane-wide shame or divorce. 2. Maintaining the friendships of those dear people who’ve generously agreed to host us in their homes at various locations. The friendships have in many cases lasted many years and considerable distance, so I’m hoping they can also survive a three year old. 3. Miss 3 sleeping when we are all sharing a hotel room. She’s a light sleeper but a fairly well behaved one, but this is a new experience for us. 4. Some time to read my novel, buy some new clothes and maybe get a massage, at some stage. What else have I missed? Any suggestions? The Smartie Sandwich – evil or genius? The Daily Telegraph has reported today that there are calls for an overhaul of school lunchboxes in the UK because one kid went to school with a smartie sandwich. Clearly this is not ideal. Except maybe for the child involved. 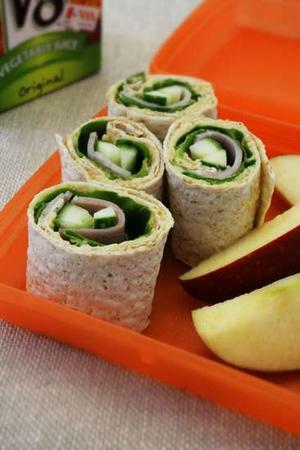 However, I am pretty sure that Miss Nearly Three isn’t ever going to get the ‘herb crusted chicken wraps’ I see as healthy lunchbox ideas advertised in women’s magazines. Here’s what I think could be done to make it easier for mums to provide healthier lunches. 1. Stop judging parents who go with the quickest option that their kid is happy to eat. 2. Provide flexible working hours so mums who have to commute and start at 9am every day aren’t under so much pressure to find quick and easy options. 3. Teach kids to make their own damned lunches as soon as possible. I’m working on Miss Nearly Three. Without success I might add. Although she rather enjoys licking the margarine from her (plastic) knife and sticking it back in the tub. Delightful. As an aside, I’m pretty sure there are dads out there who make school lunches. My dad used to make mine a long time ago. Is there a secret movement of dads making school lunches across the land? I hope so.